Hackers are having a field day in this present digital era because many organizations are moving their businesses from offline to online. This automatically makes them susceptible to hackers especially if their security is weak. Regardless, before hackers have access to your network, there must be a loophole which they will take advantage of. Oftentimes, than not, it is the online activities of some employees that allow hackers easy access to your network. In this post are five things employees do that expose your network to hackers. You can put checks in place to streamline the online activities of your employees. This is one of the crudest things employees do which using a weak password or the same password for all their accounts. For example, using a password like 1234 or QWERTY is the simplest way to invite hackers. It may be difficult for you to recall passwords. If this is the case, you can use apps like LastPass which can help you save your different passwords. Your login details are exclusive to you alone. You don’t have to share it with anyone. This is important for persons who deal with money. 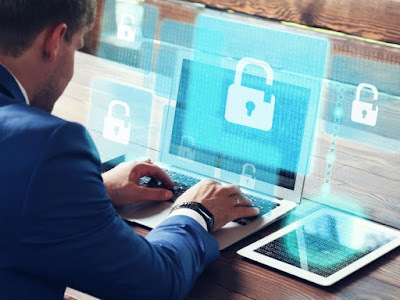 Try as much as possible to protect your login credentials to prevent illegal access to your company or personal network. If this happens, you may lose large sums of money. You click every email that hit your inbox without vetting it. Even if you receive thousands of email daily, you should vet them before opening. This will ensure that you don’t open a virus infected email that has been disguised by hackers to appear like a normal mail. Many businesses today use cloud storage services like Google and Dropbox to save important files. But without any reason, some employees will save company files on their own personal cloud storage which may be vulnerable to being hacked. Hence, always save files on the company cloud which is security-proofed. Downloading from an unsafe website is also one of the things employees that may compromise a company’s network. Employees download movies, photos and music from high risk sites which means hackers don’t have to stress themselves in accessing your data. The best you can do is to block these websites that may be used for these downloads.